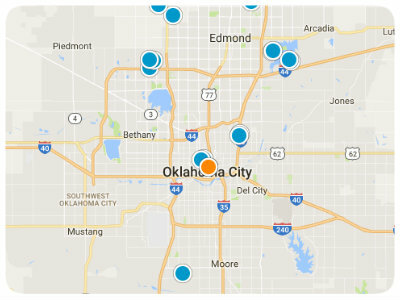 Placed nearly in the exact center of the state, Oklahoma City is a regional center of population, economic investment, and culture. The city is home to a vibrant and engaging way of life, with plenty of exciting activities and destinations for residents to spend free time. Due to the rapid growth of Oklahoma’s suburban regions, particularly to the north of the city, many homebuyers find a wealth of new master-planned communities from which they may choose their new home. 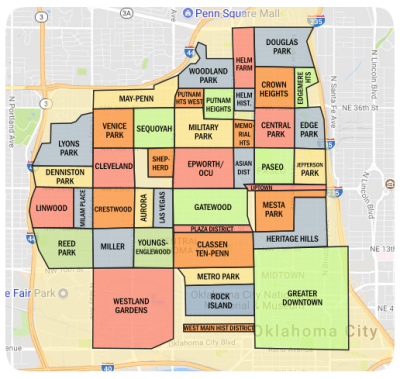 Examples of these homes are found among Canyon Lakes, Oklahoma City, OK realty, where investors can purchase a home offering beautiful and safe neighborhoods in ideal locations. The heavily treed area provides a wonderful natural backdrop that is full of cedars and other vegetation. The unique architecture provides a wonderful counterpoint to all the natural beauty, with styles meant to evoke the rustic Sonoma region of California. Residents of the Canyon Lake community enjoy numerous conveniences and amenities, including a comprehensive clubhouse, a community pool, the 15 acre spring-fed lake, gated entrances to the community for security and peace of mind, a series of multiuse trails, camping areas, wooded regions, and outdoor sports facilities. Younger residents of the community attend schools from the highly-regarded Deer Creek School District. Homes in Canyon Lakes offer floor plans that range from three to five bedrooms, and tend to cover between 3,000 square feet and 5,000 square feet. Homebuyers should expect to encounter price points that vary within the $400k to $700k range for most homes. The homes themselves frequently offer amenities such as three car garages, private pools, interesting landscaping, and more.